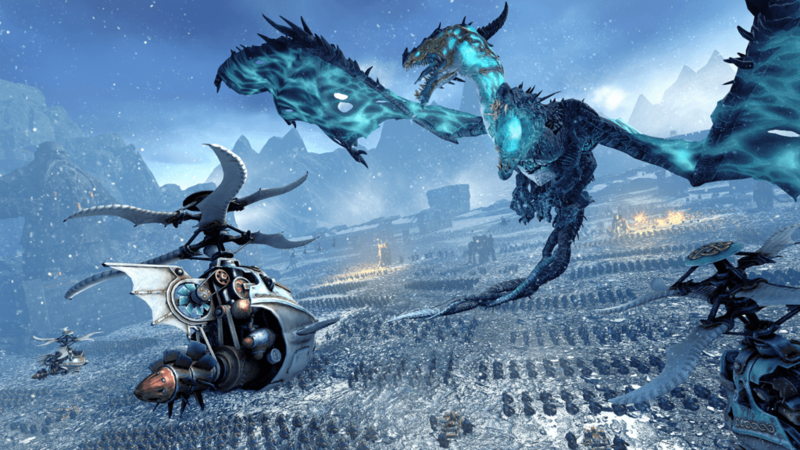 The Old World has evolved massively since Total War: WARHAMMER first Launched. With the proliferation of new Races, sub-factions, Legendary Lords, monsters, magic, Mammoths and more, the original Races and Legendary Lords have become increasingly embattled. So the chief request from players – and one that’s grown in volume with every DLC and FLC release – is that we bring the old-timers up to a fighting trim equivalent to the new guys. Your wish is our command. This is the update that supercharges the foundation races. All the old Legendary lords get bonus campaign buffs and new, extra skills trees. The Empire, under AI control, starts with an entire province, giving it a much stronger start. The Warriors of Chaos have a whole slew of tweaks and changes, increasing their campaign momentum and enabling easy vassalisation of Norscan tribes. And Wood Elves finally have new followers (Yay!). If these changes appear sweeping, it’s probably because they are. The Old World is in for a shakeup. As always, we’ll be paying close attention to your experiences and feedback, and based on that, we might reign in some of the changes. But play it and judge for yourself. We want to let things bed in before we consider any redress. The tribes of the frozen north have awoken! Wulfrik the Wanderer and Throgg the Troll King lead their hunting parties south, seeking worthy prey across the Old World with which to honour their dark gods. With their towering, slavering beasts, they present a significant new challenge to all players, and are also available to play for owners of the Total War: WARHAMMER – Norsca Race Pack DLC. 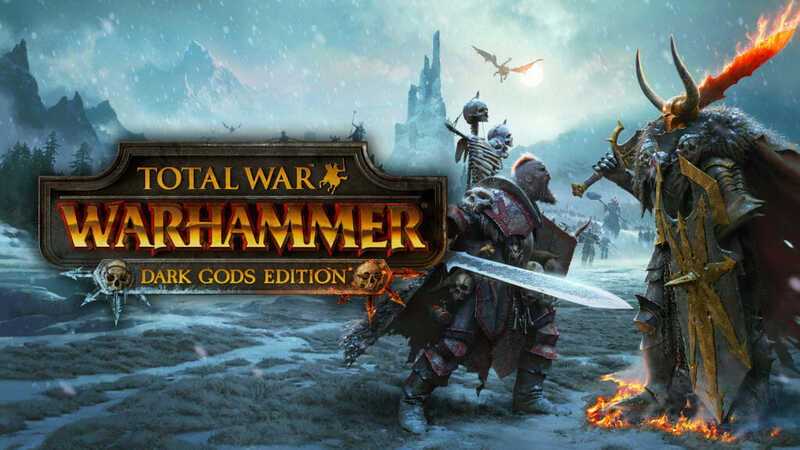 This DLC is available free if you preorder Total War: WARHAMER II, or can be bought separately direct from Steam. Creative Assembly turns 30 this year, and to celebrate this major milestone in our history we’re giving away a birthday present to all players. The “30th Anniversary Regiments” are a collection of 30 new elite Regiments of Renown for use in your game, and you can grab them for free from your inventory on TotalWar.com by logging into your Total War Access account. If you haven’t yet registered for an Access account, you only need a valid email address and you can do so from that link. There will be other free items for you to collect in your inventory when you join. We’re pleased to say that Total War: WARHAMMER is now available with both Simplified and Traditional Chinese text translations. We appreciate the patience of our Chinese-language players while we implemented this, and are pleased to say that the forthcoming Total War: WARHAMMER II will feature Chinese translations from launch in September. To improve the Warriors of Chaos gameplay experience, we’ve made a number balance and design changes to the way they work. Broadly speaking, you’ll now find it easier to vassalise the Norscan tribes, and maintain a greater sense of momentum in your crusades of destruction across the Old World. We’ve heard a lot of talk regarding how much weaker the Empire is, relative to its chances of success at the game’s launch. To combat this, when the Empire is under AI control, it now begins play with full ownership of the province initially controlled by the Empire Seccesionists AI faction, comprising the settlements of Helmgart, Eilhart and Grunberg. 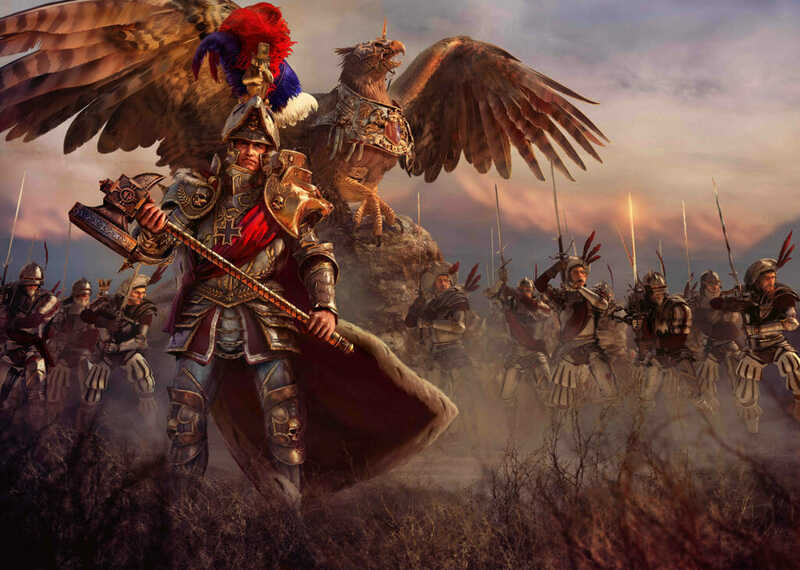 Along with Altdorf herself, this gives the Empire a full province, meaning more stable and profitable base to work from and, coupled with new Skill Trees and Campaign Effects for Karl Franz and Balthasar Gelt, this should give them a greater fighting chance. We’ll be interested to hear how this change affects your games, so keep us posted in all the usual places. Many Legendary Lords have gained new permanent Campaign Effects. Karl Franz increases the recruitment level of new lords by 2. Volkmar The Grim increases the chance of magical items drops for his faction. Thorgrim Grudgebearer increases the XP of newly recruited Hammerers. Ungrim Ironfist increases the speed of all forces factionwide by 10%. Grimgor Ironhide’s forces don’t lose Fightiness while in enemy territory. Azhag The Slaughterer increases the Research Rate of his faction. Archaon The Everchosen suffers a diplomatic negative with all factions. Kholek Suneater’s army suffers an increased chance of being ambushed. Sigvald The Magnificent has a diplomatic bonus with Norscan tribes. Khazrak One-Eye increases the Charge Bonus of Bestigor Herds. Malagor The Dark Omen gains a diplomatic bonus with other Beastmen Warherds. Older Legendary Lords have now been enhanced with unique new lore-inspired skills trees, bringing improvements to a whole variety of campaign and battle factors. The Prince of Altdorf himself now has an even greater variety of unit, army and personal buffs, making him a more effective leader overall. 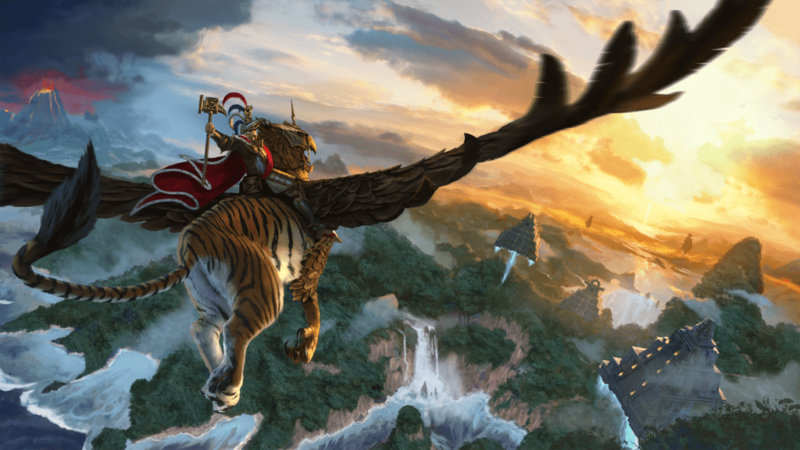 The Supreme Patriarch now brings heavier technological and magical support for his army, and his Imperial Pegasus is now called Quicksilver. The Slayer King now gets further combat buffs. The more combat damage he sustains, the deadlier he becomes, with two optional upgrades to his Deathblow augment, making it either Determined, or Extremely Daring. The player may only choose one! The saturnine steward of the Dammaz Kron is now an even greater leader in both campaign and battle. Sylvania’s Lichemaster Lord now has a skill tree entirely devoted to improving Krell. Plus, Master Necromancer Lords serving Kemmler are also more adept at leading their putrid hordes. Grimgorz got an’ ‘ole lot’ ‘ARDER, an makes da best boyz EVEN BETTAAAAAAAH!!! The Greenskins’ crowned sorcerer gains a new range of campaign and low-tier unit buffs, improvements to his command of the Winds of Magic, and Regeneration. Azhag also benefits from a revised starting army composition, gaining Orc Boar Boy Big’Uns, Orc Big’Uns and Trolls. As the Everchosen marshals his twisted forces agains the Old World, he brings new improvements to core units, Lords and Heroes in the roster. If looks could kill… Sigvald’s vanity swells ever further, bringing unexpected benefits to his troops and stirring enmity in other Chaos Lords! Kholek becomes more monstrous still, and imbues earth-shaking ferocity in his Dragon Ogres and Dragon Ogre Shaggoths. -MPC quest chain blockers: in co-op campaigns, players can now head straight to a quest battle and not get caught up in missions that can’t be completed, which previously blocked them from completing the quest. -Fixed some Bretonnia Knight textures patterns, which appeared mostly black on High Texture Quality Settings. -Fixed a skinning issues with the medallion around the Beastmen Giant’s neck. -Fixed a rare crash/floating point exception when loading into a Grand Campaign as Karl Franz. -Improved Wood Elves Hawk Riders animations while in melee combat with enemy infantry (reduced slowdown). -Fixed a bug where the Paladin hero could lose his shield during an attack animation when mounted on a Warhorse. -When the Bestigor Herd are in melee combat, their axes will no longer become misaligned with their hands between attacking and turning. -Improved how the Royal Pegasus Knights are holding their lances when zoomed in. -Improved the idle animation when the General of the Empire is on the Hippogryph mount. -Chaos Sorcerers will no longer be able to cast Searing Doom twice in quick succession. -Wider Ploughs technology in Bretonnia will now correctly reduce the construction cost of Infrastructure buildings. -AI Vampire Counts are no longer able to recruit Regiments of Renown when the player is the Von Carstein faction. -When a quest appears which requires the player to embed a Hero, the player can now use the Unit Exchange system to embed the Hero. -Rebels are now more likely to occupy settlements. -Fixed the paint buttons in multiplayer coop campaign. -When ordering Archaon to cast a Fireball at an out-of-range unit, he will now move into range then fire. -Minor smoke effects/haze will no longer appear black at the edges of siege maps, as experienced by a few users. -Under-Morking no longer automatically leads to over-Gorking, and vice-versa. The waxing or waning of Morrslieb may affect this. Archaon: Added Frenzy, +10 Physical Resistance. Sigvald: +5 defence, +5 morale. Wyvern mounts: added poison attacks. Raise Dead & Upgraded: Increased cooldown to 19. Reikland Runefang: Re-designed to be an AoE attack and leadership buff. Icon of Devotion: Leadership increase reduced to +12. Mist of the Lady: Added an ‘engaged in melee’ condition flag. Wrath of Manann: Should deal more damage to targets as detonation forces have been adjusted. Cloak of Isha: Added small healing effect.